IT’S HER 10th ANNIVERSARY SEASON! PASADENA, CA (The Hollywood Times) 4/13/19 – Direct from the Pasadena Master Chorale (PMC): “The gift of singing is a compliment of genetics, skill and training. But when singers gather to share their gifts with the rest of us, costs are incurred – for everything from sheet music and the performance hall to accompanists and soloists. 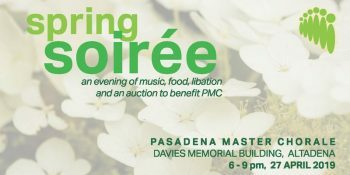 On Saturday, April 27, from 6 p.m. to 9 p.m., at Altadena’s Davies Memorial Building, Pasadena Master Chorale (PMC) will attempt to defray some of these costs when it presents its Spring Soirée fundraiser. “We are committed to continuing to present our performances on a ‘listen first, then give’ basis, so that our concerts are accessible for all music lovers,” explains PMC’s founder and artistic director Jeffrey Bernstein. The Soirée enables us to do this, to achieve our mission of promoting a love of – and future for – choral music for generations to come. PMC SOIREE TICKETS: Reservations are required, with tickets available for $50/pers. 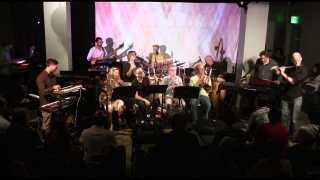 Use promo code SOIREE10 to receive a 10% discount. 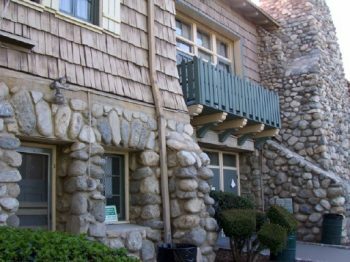 The Davies Memorial Building is located in Farnsworth Park in Altadena, at 568 Mount Curve Avenue East.